An Apple Watch owner in Quebec was recently fined $120 for operating his wrist-worn gadget while driving, sparking debate as to whether traffic law should consider smartwatches handheld devices, and thus prohibit their use, or Bluetooth accessories. Apple Watch user Jeffrey Macesin was pulled over by the Surete du Quebec and slapped with a $120 ticket and four license points for operating his new smartwatch while in the driver's seat, reports CTV Montreal. Macesin claims he was using Watch's built-in Music app to remotely change songs on a linked iPhone that was piping audio into his car stereo via an auxiliary cable. The ticket cited Section 439.1 of the Quebec Highway Safety Code, which reads, "No person may, while driving a road vehicle, use a hand-held device that includes a telephone function." Use of Bluetooth accessories, like headsets and hands-free equipment, is allowed. A literal interpretation could find Macesin not technically in violation of the statute, as the "handheld device" in this equation —Macesin's iPhone —was stowed in a bag and therefore unreachable. "It's not so much handheld. It's a watch. You know, it's on my wrist. That's where it gets controversial," Macesin said. "It's like, 'Is it? Is it not?' but I think this needs to be talked about." Some believe an incident like Macesin's was bound happen given increasingly aggressive laws designed to save lives by prohibiting distracted driving. Many governments have these laws in place, but as slow-moving policy is often unable to keep pace with technological advances, devices like smartwatches go unmentioned. 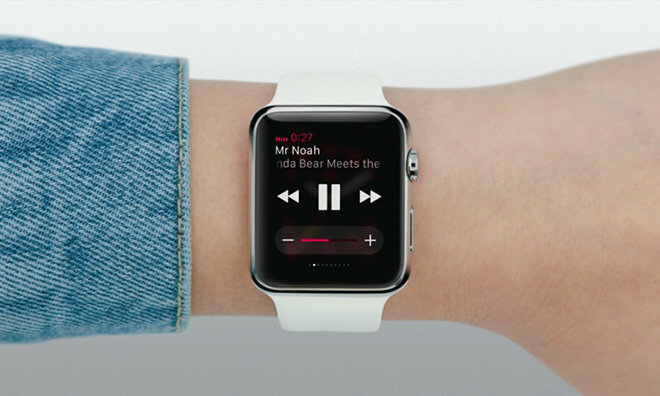 It is perhaps more interesting to ask if advanced smartwatches like Apple Watch, which are capable of mirroring iPhone functions like voice and text communication, also constitute a distraction to drivers. In such cases, and with regard to the current state of policymaking, it is unclear whether to enforce the spirit or the letter of the law. Macesin plans to contest the ticket and could enlist legal counsel over the matter.